The show revolves around the Pearson family: Dad Jack, Mom Rebecca, and kids Kate, Kevin, and Randall. The show flashes between the past, when Kate, Kevin, and Randall were growing up. and the present. During the episodes, the family experiences real life situations that people can connect to. It shows that people make mistakes, parents make mistakes, families create memories and traditions together, life has twists and turns, and most importantly, through it, all people forgive and love each other to the end. For me, This Is Us gives me comfort in all the above things, but it also gives me comfort in one thing I’ve been scared to acknowledge….panic attacks. In one episode, Randall, a hard-working husband and father of two, has an attack after being weighted down with the stress of his career, family, and worrying about his terminally ill biological father (he was adopted as a baby). This moment in the show gave a new meaning to what it is like when a person has an attack and it gave a new awareness that panic attacks are completely normal. What I feel like after having an attack is tired, confused, overwhelmed, yet I have a sense of peace and relaxation. Sounds crazy, right? That sense of peace and relaxation comes from knowing I just stressed all I could about a certain task or situation and now I can let it go. People have panic attacks in many different ways. No attack is the same. Some people like for others to be there, by their side, just like Kevin was with Randall. For others, myself included, are more comfortable having their attacks alone and in private. In addition, the way an attack comes on is different. My panic attacks vary in degree. They have been where I fall on the floor, crying and almost hyperventilating. Others have been as small as hands shaking or mind focusing on one task. When that happens, I zone everything else out until the task is done. Panic attacks are normal and I thank This Is Us for bringing attention to them and normalizing them. I also thank This Is Us for bringing us a show that explains normal life and all the feelings, emotions, and situations that come with it. Life can be crazy and confusing, but it can also be happy, exciting, and loving. 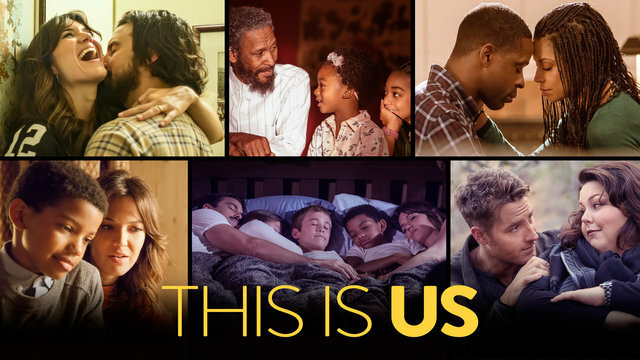 The first season of This Is Us has ended, but my hope is after reading this post, you’ll jump on the bandwagon and watch the second…and third season. (Yes, this show is that good, a second and third season are already in the works). To all of you have had panic attacks, know it is okay and you’ll be okay.